Greenland invites for all kinds of unforgettable adventures. The seasons in Greenland play a crucial role in what is possible to experience. Greenland is one of the regions where activities are mostly arranged and realised in cooperation with a guide - tour operator, because of the very different diverse raw nature and its challenges. Go wild and join one of the fantastic outdoor activities and experience Greenland closer. What about paddle along amazing blue icebergs, hike in remote wilderness areas or go dogsledding through the Arctic Winter. If you are a fan of the Northern Lights dance, you must go to Greenland in autumn/winter - the summer Midnight Sun obliterates the chances of seeing the Northern Lights in the sky. Don`t hesitate to visit this amazing region, if you are interested in incredible unspoilt natural wilderness, endless open wide spaces, unforgettable light and clean air. 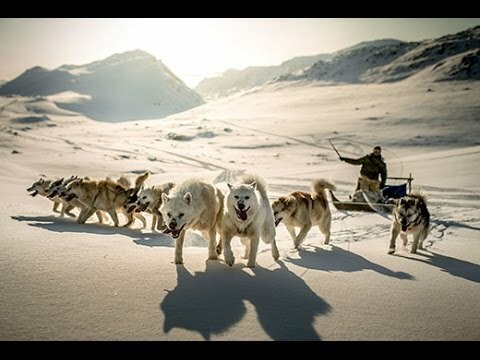 Check out the activities and don´t forget the connections and tour offers to Greenland gets more and more comfortable and expanded.